When using our bat speed trainer, practice hitting the ball as it arrives closer to your body (dominant fastball hitting mechanics), and further away (hanging slider hitting mechanics); becoming a complete power hitter. 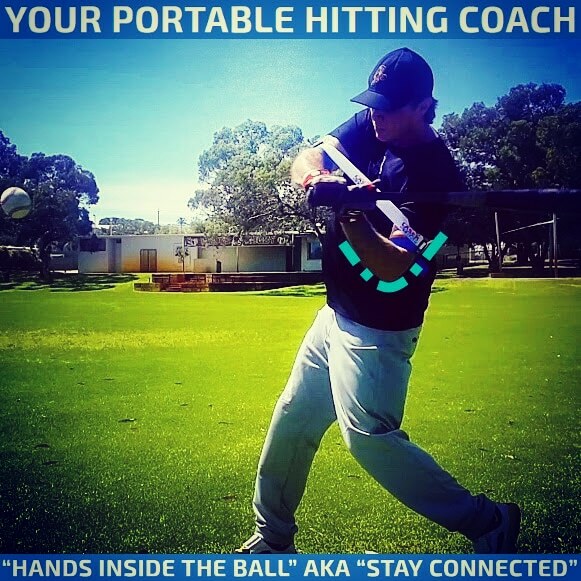 Put on your Laser Power Swing Trainer power hitting aid. 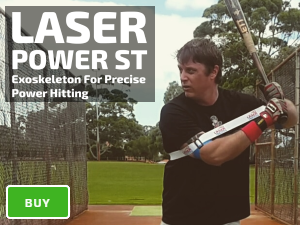 High resistance Laser Blast improves bat speed, and power contact closer to your body. Take 20 swings of side or front toss. Make sure the coach tosses the ball at least belt-high. High resistance Laser Blast drills teach how to generate power with minimal movement. Spread out in your batting stance to decrease movement of your extremities, relaxing your hands at the top of the strike zone. Track the ball out of the coaches hand and let the ball travel closer to your body. High resistance Laser Blast drills “find and fix” mistakes caused by lacking confidence in your bat speed. Such as, dipping, and lunging, jumping, reaching, and casting your swing. Allow your hips to turn your back leg. If you fail to rotate correctly from your core, you’ll hit a weak ground ball or swing and miss. Your goal is to use your hips, improving your lower half mechanics. Stay balanced on the inside balls of your feet. If you swing flat-footed, you’ll fall off-balance. High resistance Laser Blast drills “find and fix mistakes” caused by incorrect weight distribution. Keep your head down and develop your hitting approach. High resistance Laser Blast drills improve hitting approach. Attempt to pull the ball, and you’ll fail. Allow the ball to travel, use your hips to rotate your back foot, and hit the ball back up the middle. If any part of this sequence is missing, you’ll fail to make solid contact. 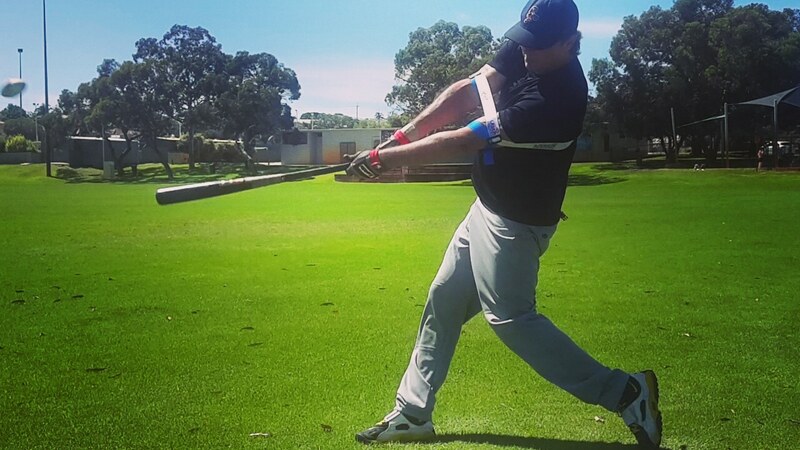 Prepare yourself to hit for a high average and power. Finish your batting practice with a top hand release low ball extension batting drills; AKA advanced Laser Whip drills.